Our range of performance upgrades for the Ford 1.6 Sigma engine present the perfect balance of exhilaration and reliability for Caterham and other lightweight sportscar owners. Each package has been designed to improve the overall driving experience of the Sigma engine whilst giving the peace of mind that comes with reliability, durability and value for money. 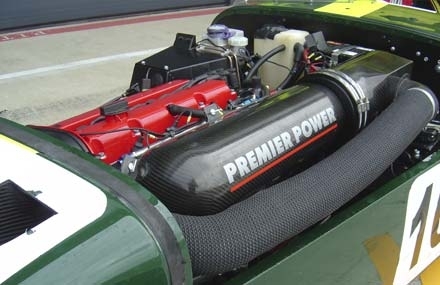 Premier Power’s upgrade packages are aimed at a wide range of users, whether your car is poised for road or race track. We have conducted extensive research into what drivers are looking for from the Sigma. Each upgrade package is the culmination of our exhaustive research and development program, including comprehensive engine dyno test work, rolling road testing and on road driving using our own rolling test bed – The Premier Power Caterham Superlight. Our unrivalled standards of workmanship and attention to detail ensure consistent engine performance and fantastic drivability compared to the standard Sigma engine. Each installation is carried out by us at our custom built workshop to guarantee performance continuity and customer peace of mind. We perform the complete conversion upgrade including a comprehensive set up to ensure you get the very best from our products. Initially we start each conversion by checking the condition of your engine - carrying out a full health check. This follows our strict and demanding performance test procedure, identical to that which we carry out on all our full race engines both as they return and before they leave us. During each build we accurately measure and log all relevant dimension and set up data to ensure the new engine is set up precisely as our reference engines. This data log also provides a valuable reference document. All cams are accurately set up to our exacting standards using precise measuring equipment to ensure they are within a 0.05mm tolerance. For the F155 and F175 conversions we upgrade several of the cylinder head components whilst carrying out a complete cylinder head overhaul. 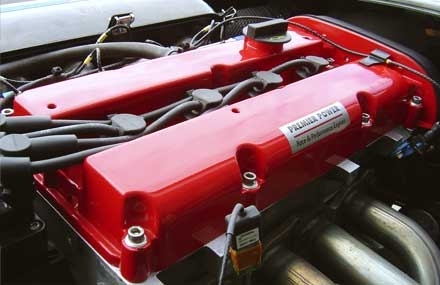 Being a highly modified, precision performance engine the F200 conversion not only requires a comprehensive cylinder head overhaul but also the upgrade of several bottom end components in order to enable it to handle the considerable extra power. In addition precision machining work is also carried out on the bottom end to improve engine durability and reliability. All engines are then meticulously assembled and accurately set up in accordance with strict Premier Power procedure before being carefully reinstalled. Each upgrade features not only meticulous mechanical modification to the engine and components but also precise engine management enhancements to optimise its performance. The standard ECU supplied by Caterham is locked, so a new optimised MBE ECU is supplied with each standard upgrade which connects directly into the Caterham engine wiring loom. For future upgrades we can re-programme this ECU. Premier Power also offer motorsport standard Life Racing ECUs featuring built in data loggers and features including traction control, launch control and engine protection systems. At Premier Power we use premium components in all our engines and pride ourselves on our meticulous build quality and superior reliability and durability. 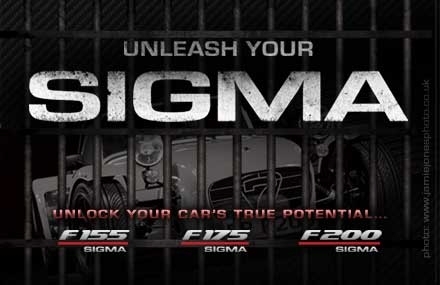 The perfect first step to boost drivability and exhilaration and revolutionise your sigma! Transform your standard engine into a fantastic road engine which is also superb fun for track days. Fitting one of our lightweight, billet flywheels and an up rated clutch assembly makes this engine feel very responsive compared to the standard engine. This conversion uses several of the components required for the F175 so if you get the buzz you can upgrade to the F175 in the future for a fraction of the cost! Enjoy Duratec R300 performance from your Premier Power designed Sigma engine! Ordinarily the reduced engine capacity of the Sigma would mean reduced torque when compared with the Duratec, but Premier Power has produced an extremely strong engine with peak torque within 3% of the R300’s 2.0 litre Duratec. In addition the reduced weight of the Sigma over the Duratec means improved power to weight ratio when comparing the R300 Caterham to a Premier Power engineered F175 Caterham. 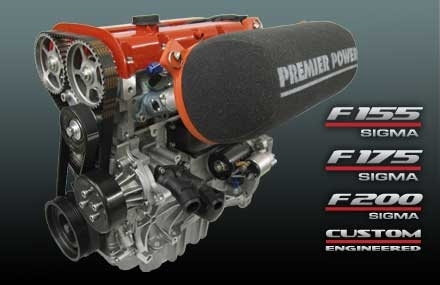 For the pinnacle in Sigma performance the Premier Power F200 is the package for you! This is the ultimate Sigma - a tremendously exciting, specially modified, high performance rocket. It includes advanced engine design and employs numerous up rated replacement components capable of handling and producing this level of power from such a small, lightweight engine. These premium quality components and Premier Power’s meticulous preparation and build techniques come together in our laboratory-clean build centre where the F200 is precisely assembled to ensure not only maximum performance but ultimate reliability and durability. All our conversions excel on the road. To explore the full exhilarating potential of the F200, let it loose on the track where it will astonish and amaze you. Enormous grin guaranteed. A version of this powerful, lightweight engine is installed in our purpose-built test car – The Premier Power F200 Caterham Superlight. The Premier Power Custom Engineered 1.6 Sigma Engine specification is totally reliant on the brief given to us by the customer. Premier Power can help with selecting components required to build the engine which is normally dependant on the customer’s requirements and budget. It will use a standard engine that will be stripped, modified, de-burred and carefully reassembled. •	Modified and ported cylinder head. •	Dry sump oil system. Once assembled the engine will be run-in and set up on the dyno before being power tested. As this is likely to be a be-spoke specification, Premier Power will require the vehicle exhaust system to ensure the engine calibration is matched as closely as possible on the dyno to the in vehicle installation. If this engine specification is of interest to you please contact use and we can discuss your requirements further and give you an accurate quotation for your application.